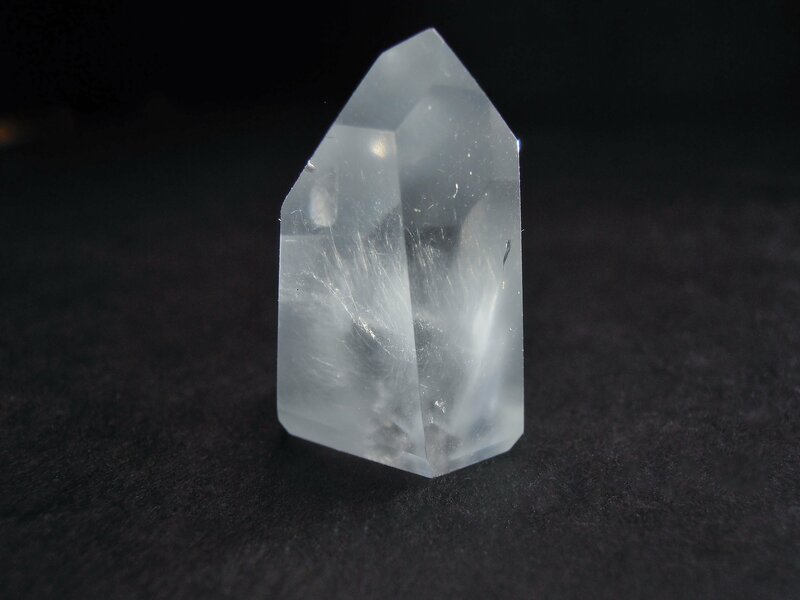 This blue quartz or reibeckite in quartz is from Minas gerais, Brazil. 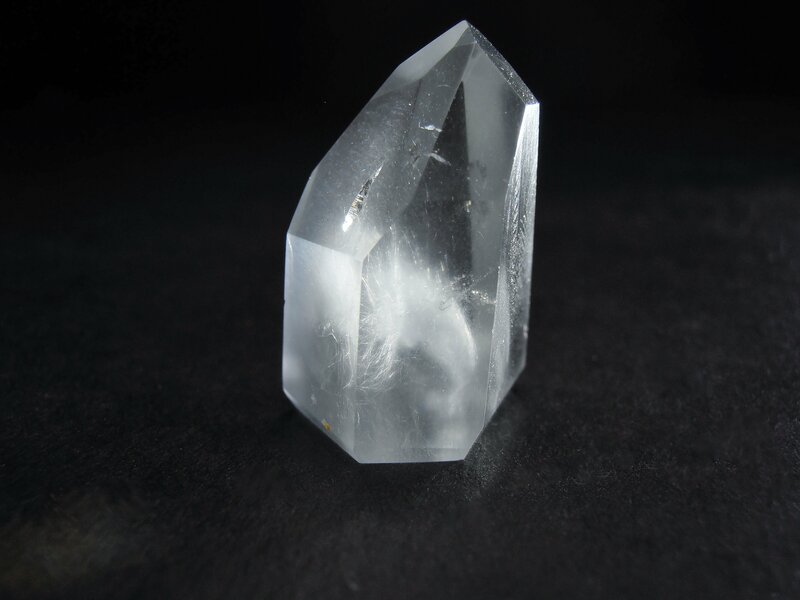 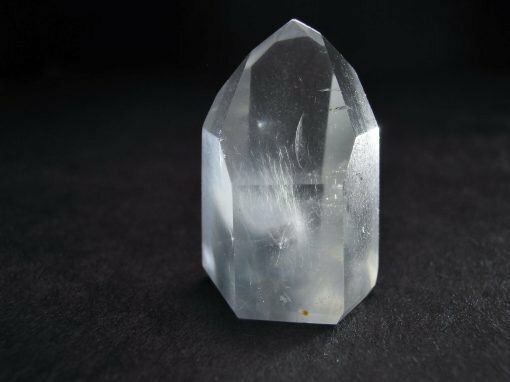 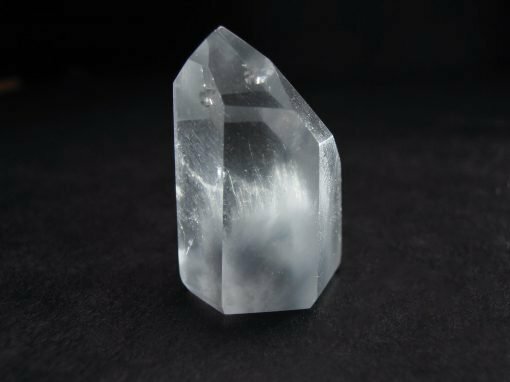 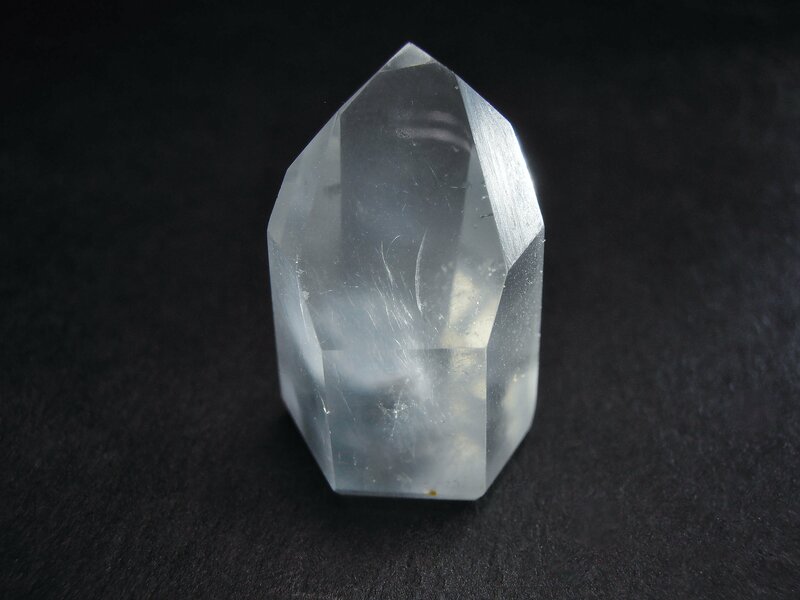 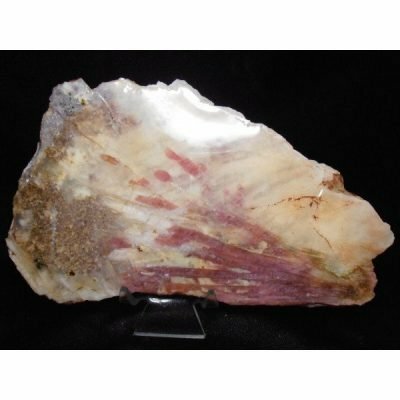 It Is a transparent quartz crystal point that has blue, silk like, inclusions of fibrous reibeckite crystals. 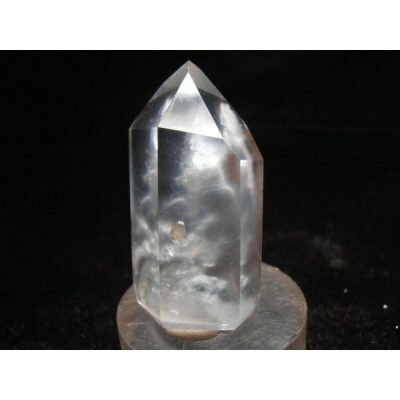 The crystal point has been polished on all surfaces to a gem luster. 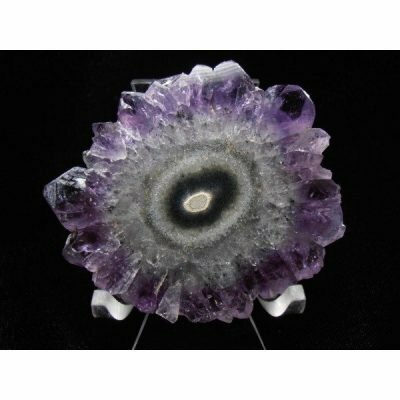 It measures 15/16 x 11/16 x 5/8 inches or 24 x 18 x 16 mm.